Summer’s here, and the heat is on! We’re loving all the amazing projects coming into the gallery. Here are some highlights for the week. Don’t forget to tell us which one you “like” by Monday! I love Eddie’s nursery because it is warm and cozy and I like the earthy feel. 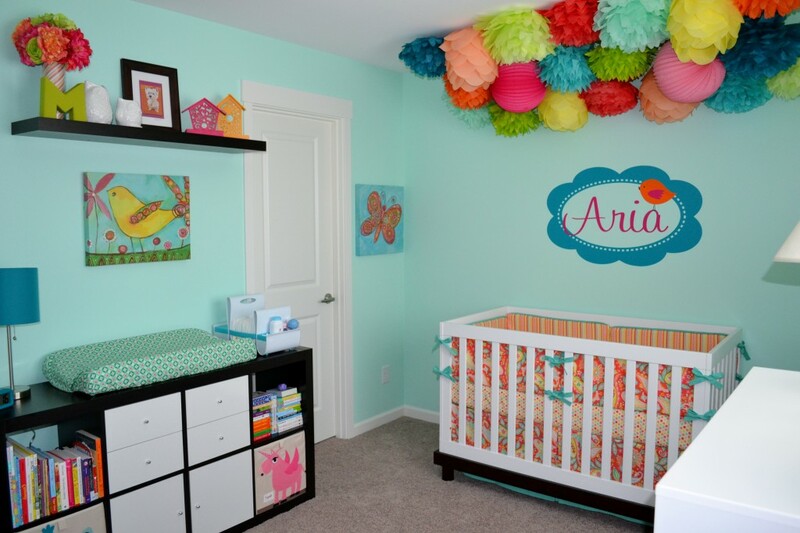 I also like the bright colors and the happy feel of Aria’s bright and modern nursery. It’s mainly because of the very colorful tissue pompoms and paper balls. I just have no idea how long these things last as decorative elements. I have tried them before and they gather dust very easily while being very difficult to clean, too. One thing’s for sure, you cannot use your vacuum cleaner when cleaning dust off these paper pompoms! Good question, Freya. I tried using tissue pompoms and I had to take them down after four months. I feel like I can do so much with Sweet Caroline’s Nursery because of it’s light walls and light furniture. It leaves so much room for creativity!